This week our featured independent artist and small business owner is Rachel from The Pickety Witch. 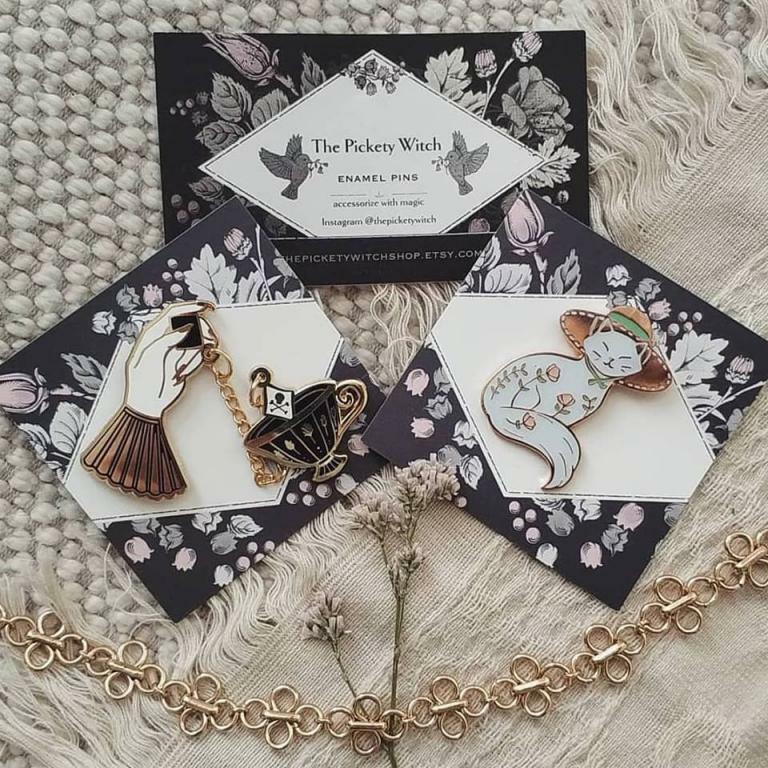 She is an artist and designer extraordinaire who makes beautiful enamel pins. I met Rachel through a crazy happenstance about a year ago. We were actually classmates online at a college I attended and I recognized her artwork on Instagram a few months later. I reached out to say hi and we’ve stayed in touch! Read on for thoughts about art, design, and pin making! You are a very talented artist! Have you had any training or are you self-taught? Thank you so much! I have! When I was in elementary school I took drawing and painting classes at a local arts center and continued to take art classes through middle school, high school, and college (even “en plein air” in France!). I love making art and always will! How did you decide to start making enamel pins? I started to collect them last summer and fell in love with the medium. After a month or so, I thought, ‘Hey I could totally make these!’ (I often have that thought with a bunch of craft projects haha) and so I started a Kickstarter and it really took off from there! Your designs are very witchy, what inspires you? 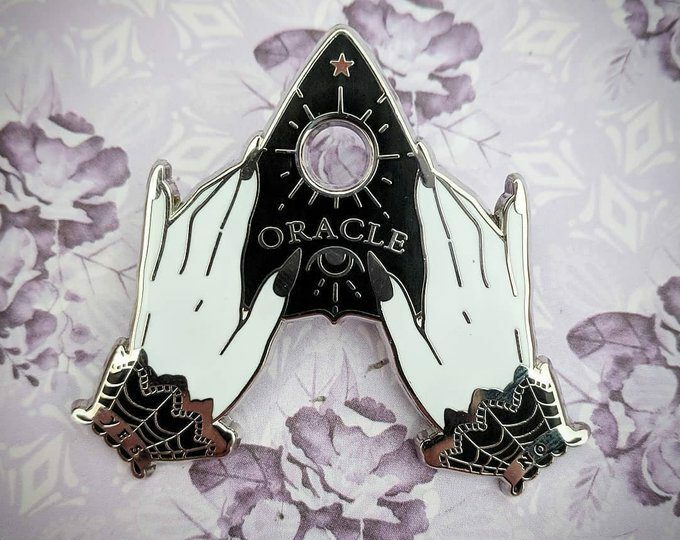 How do you get the vision for new pins? I’m mostly inspired by animals, nature, and obviously witchcraft! I love the Pagan roots of the new age religions, and as a witch, I love creating things that represent that. Honestly, most of my pins start out as a crappy sketch in the corner of my sketchbook at midnight haha! I usually post my sketches on my Instagram to see how they’re received, and if my followers love them as much as I do, then I know it would do well as a pin! I also ask my followers for advice or post more than one drawing to see what they prefer. It’s amazing to be a part of such an inspiring and supportive community! What is the most challenging aspect of running a small business as a woman? To be honest, I can’t think of anything haha! 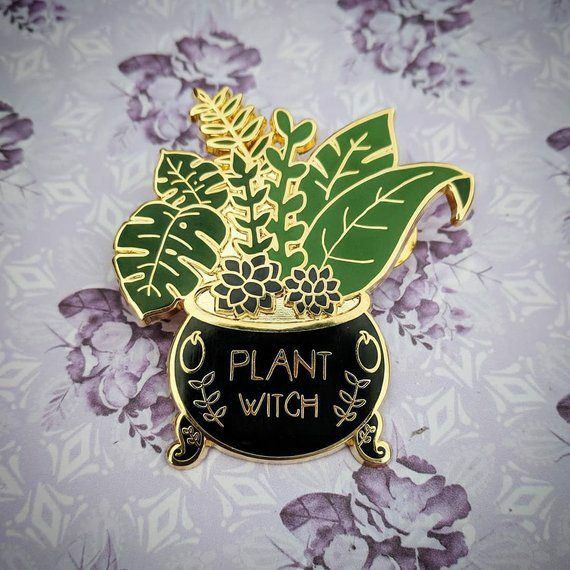 If anything, the pin community (especially the witchy pin community) is made up of mostly beautiful, talented, and kind women, so all I receive is constant support and love! What kind of advice do you have for artists who want to start a business? Start with a Kickstarter for sure. That way you don’t have to invest in the beginning. Always have another design in the works to keep your audience excited and your brand up to date. How you present your brand is huge. Packaging is a statement of you (so I pack my pins in purple mesh bags with lavender and people love it!). The biggest thing is to be prepared to market yourself and your brand. You have to turn your Instagram into your shop front. So networking and building an engaging audience and profile is key! And also, you’re probably going to make something that nobody buys, and that’s ok! It happens to everyone and it’s a huge learning experience. Is there anything you’d like to tell people about The Pickety Witch? I’m so excited to be ending this year with my Yuletide Collection featuring The Julbocken and Krampus. I have a ton of designs already in mind for 2019, so be sure to follow me on Instagram at @thepicketywitch for updates!